In a hugely dramatic turn of events, after only 56 km of stage eight, Ricky Brabec has broken his Honda’s engine. 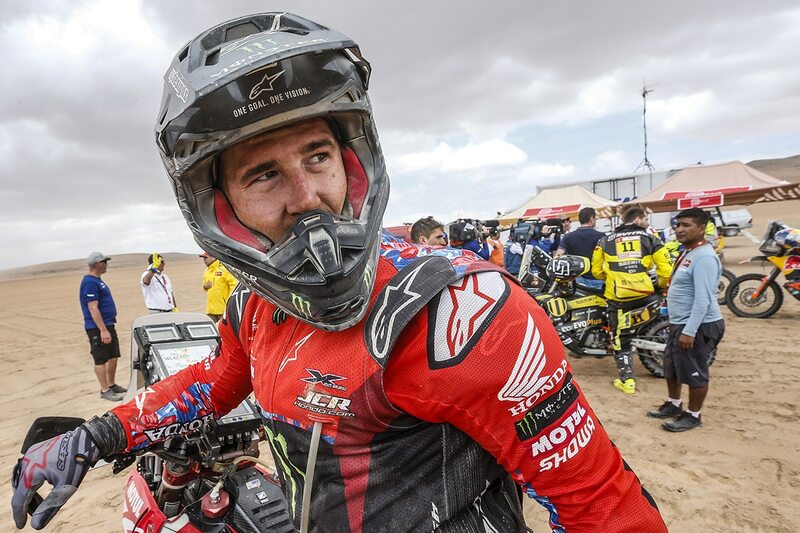 Brabec had been riding an exemplary race with serious hopes of becoming the first American to win the Dakar. Now, he looks like he will be forced to exit the race prematurely. Ricky Brabec is genuinely unlucky on the Dakar. Indeed, in 2018, the he was forced to drop out on stage 10 after the engine on his Honda broke. The same fate has befallen him this year. Now Honda has lost its best chance of winning the Dakar, a race that time and again slips through the team’s grasp. Today’s stage eight is still underway. The de facto leader is KTM’s Toby Price, who has been riding with a painfully injured wrist. Full coverage will be available here at the conclusion of the stage.